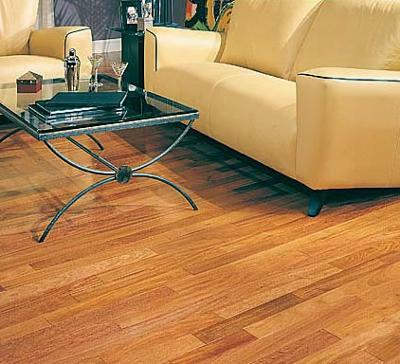 I need to furnish a living room and am stumped with what tone of furniture compliments brown mahogany floors. The space is quite dark with light cream walls. I would like to use wood furniture but am open to other alternatives that will go nicely with such a redy-brown tone. I am not a trained designer Darci so I don't know if there is an 'official' correct answer here but my own opinion is that different colour woods together just don't look quite right. If I was furnishing a room with a dark wood floor I would probably steer clear of wood other than that which is painted - cream being a good choice. For a more contemporary look, you could go for chrome and glass. If you really want to stick with wood then I think you will need to try to find something as near to the shade you already have as possible. If you have an item of furniture, a coffee table for example, that doesn't look quite right at the point where leg meets floor you could try standing the item on a small rug just to give a buffer between the two.